A hologram is like a special kind of picture that can be viewed from more than one angle. Now, when most people think of holograms, they think of Princess Leia in Star Wars or the Holodeck in Star Trek. This popular understanding of holograms as virtual, three dimensional (3D) objects, usually constructed somehow out of light, is extremely widespread, but it completely misses the mark in terms of what holograms actually are. Holograms are like photographs that appear to be three dimensional. When you look at a hologram, it seems more like you're looking at a physical object through a window than at a picture. The big difference between holograms and other types of 3D imagery, like 3D movies, is that you don't need to wear special glasses for a hologram to look three dimensional. Unlike traditional photography, which captures a flat, static image, holography creates an image that can be viewed from multiple angles. When your perspective of a hologram changes, either by moving your head or moving the hologram, you are actually able to see parts of the image that weren't visible before. Even though holograms appear to be 3D when you look at them, they are captured and stored like regular pictures on flat film, plates, and other recording mediums. The holographic image that you see appears 3D, but the thing it is stored on is flat. Real holograms are created by splitting a beam of light, usually a laser, so that part of it bounces off an an object before hitting a recording medium like photographic film. The other part of the light beam is allowed to shine directly on the film. When the two beams of light hit the film, the film actually records the differences between the two. When this type of holographic recording has light shone on it in just the right way, a viewer is able to see an image that looks like a three dimensional representation of the original object, even though the object is no longer there. 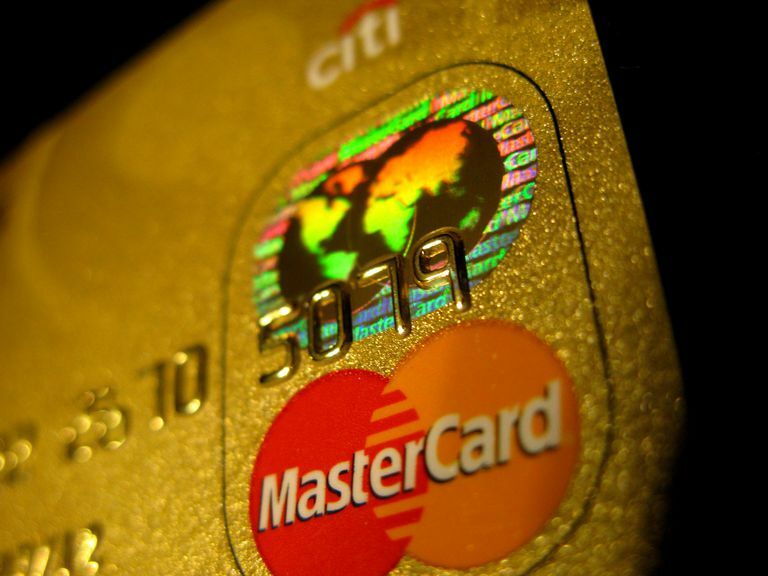 The most common use of real holograms is on credit cards and money. These are small, low quality holograms, but they actually are the real thing. When you look at one of these holograms, and move your head or the hologram from side to side, you can see how the image appears to have depth like a physical object. The reason that holograms are used on credit cards and money is for security. It is very difficult to counterfeit due to the way that these holograms are replicated from a master hologram with highly specialized equipment. Pepper's ghost is an optical illusion that has been around since the 1800s, and it creates an effect that looks a lot like a hologram. The way this illusion works is by shining light on an object that is outside of the viewer's line of sight. The light is then reflected off an angled plate of glass. The viewer sees this reflection superimposed over their view of a scene, which creates the illusion of a ghostly object. This is the technique used by Disney's Haunted Mansion ride to create the illusion of ghosts. It was also used during a performance at Coachella in 2012 to allow Tupac Shakur to appear alongside Dr. Dre and Snoop Dog. This same technique is also employed in so-called holographic 3D displays. A similar, and much simpler, illusion can be created with modern technology by projecting an image onto a clear glass or plastic screen. This is the secret behind live performances of seemingly-holographic performers like Hatsune Miku and The Gorillaz. True holographic displays have a long way to come before they'll be ready for the high octane world of video gaming, and games in the past that have been billed as holographic actually used optical illusions to create the impression of free-floating objects and characters. The most well known example of a holographic video game is Sega's Hologram Time Traveler. This arcade game made use of a curved mirror to reflect images from a regular TV set. This resulted in characters that seemed to be free-standing holographic images just like the image of Princess Leia that R2-D2 projected in Star Wars. Despite having the word hologram in the name, and the clever optical illusion, the characters clearly weren't holograms. If a viewer were to move from one side of the Hologram Time Traveler arcade cabinet to the other, changing their perspective, the so-called holographic characters would always appear from the same angle. Moving too far would even distort the image, since it was created by a curved mirror. HoloLens is an augmented reality device powered by Windows 10 that inserts three dimensional images that Microsoft calls holograms into the world. These aren't actually real holograms, but they do fit the sci-fi fueled popular image of holograms. The effect is similar to a hologram, but it's actually a projection on the lenses of the HoloLens device, which is worn like sunglasses or goggles. Real holograms can be viewed without any special glasses or other equipment. While it is possible for lenses to be holographic, and used to create the illusion of three dimensional images in real space, those virtual images are not actually holograms.